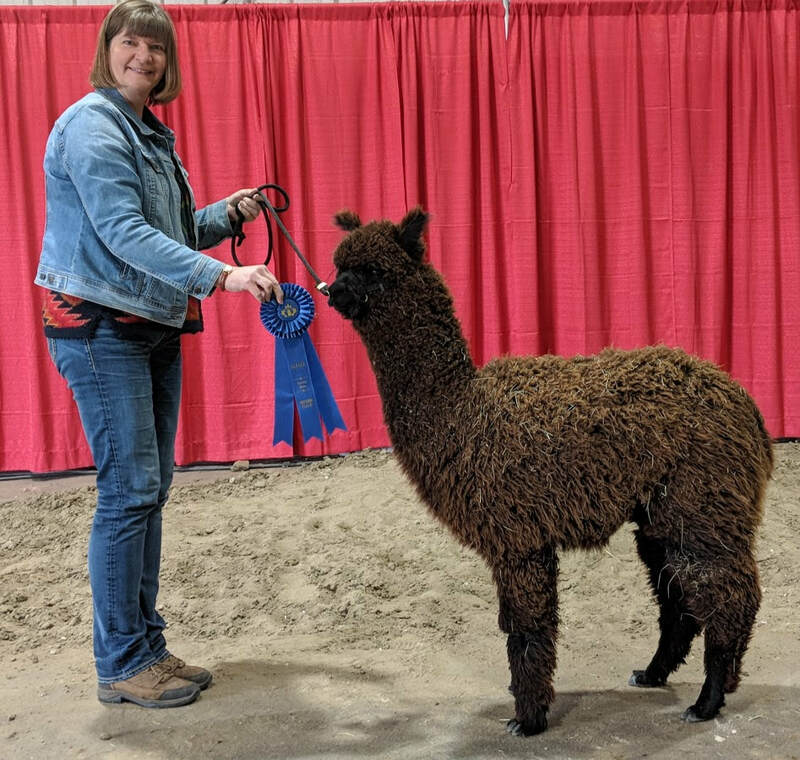 Sabby is our first cria from Ambrosia and she came through for us with this fabulous black male. His sire Caicos, was a BB son. BB now lives in Germany and Caicos unfortunately died so this is a very limited blood line. If you are looking for black with some unique genetics this might be the guy for you. We look forward to taking him out to the shows this spring to see how he stacks up against the other blacks. He has good solid conformation, a great head, good staple length with nice crimp. For more information talk to Cathy or Trudy.